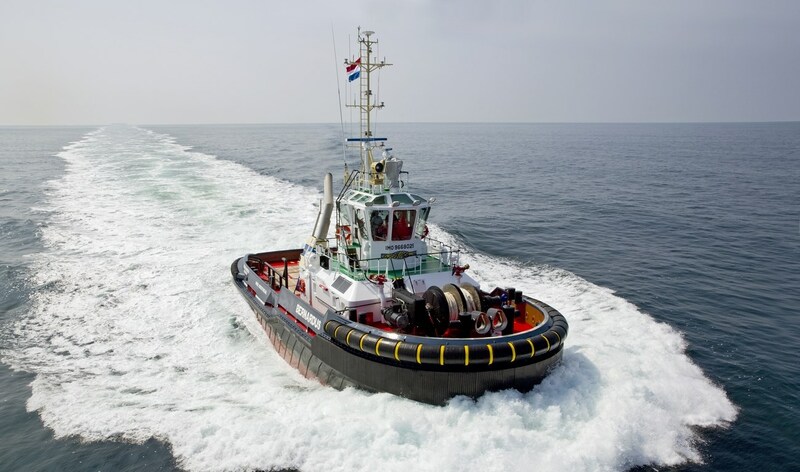 Home › Sea Tug › ASD Tug › ASD Tug 2810 Hybrid › ASD Tug 2810 Hybrid "Bernardus"
In June 2014, the first Damen ASD 2810 Hybrid was delivered to Iskes Towage & Salvage. Being green does not mean sacrificing power, the Bernardus still has a bollard pull of 60 tonnes. The Bernardus operates in the Port of IJmuiden near Amsterdam, the Netherlands.